The Pedal for Orphans Banquet was a sold-out event last year and is expected to do the same this year! 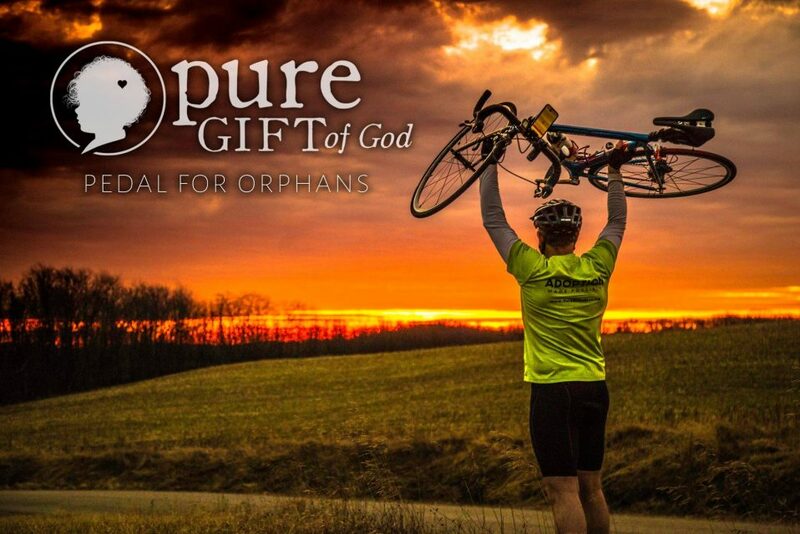 Join us for an exciting evening as we kick-off for the First-Annual Pedal for Orphans “Century Bike Ride”, and help show your support for Josh McFarland and Jason Miller, who will be competing in a triathlon with all proceeds benefiting Pure Gift of God. Tickets may be purchased by the table (8 persons) or individual plates. This event will feature a filet steak full course meal along with a raffle and auction. Individuals will be entered into a raffle of 10 prizes with a grand prize of a T@G Trailer from NuCamp RV or a cash option of $5,500. Three additional items will be auctioned off the night of the banquet. Please Contact sara@puregiftofgod.org to purchase your ticket, or if you would like more information. Signup to support Josh & Jason and read their profiles here.